What could be better than an inflatable bounce house? 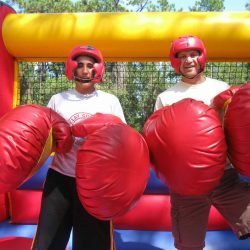 That’s right… an inflatable bounce house with boxing gloves! You can bet this jumper will have the crowd lining up for their turn. It’s as much fun to watch as it is to play in! Oversized boxing gloves and head gear included with rental and pictured below. 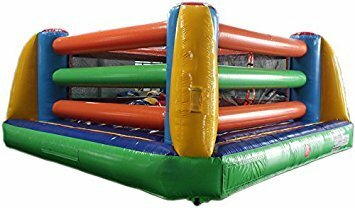 We have the best bounce houses,water slides, carnival games, combos, concessions, tables and chairs, dunk tanks, obstacle courses, giant slides for rent in Rockford IL, Belvidere IL, Crystal Lake IL and surrounding areas!